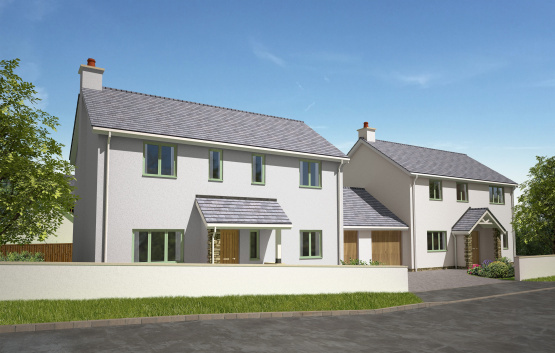 Marchand Petit Estate Agents are delighted to be able to announce the long awaited launch of The Ridings in West Alvington, near Kingsbridge, on Saturday 2nd July from 10am till 3pm. The development comprises just 17 properties with 8 open market houses, many with excellent rural and estuary views. The open market houses range from 3 bedroom semi-detached homes with garaging through to the largest on site, a 4 bedroom detached house with a double garage and excellent rural and estuary views. The launch will take place on Saturday 2nd July from 10am till 3pm at the Ring O'Bells situated in the village, where all details will be available and prices will be released on certain selected plots, so potentially off plan reservations will be available on the day with site visits possible during the following week, although the views from the Ring O'Bells gives an excellent perspective of the whole site. Please contact the Kingsbridge branch (01548 857588) of Marchand Petit Estate Agents for further launch day information.